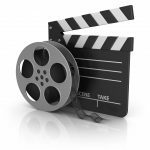 You may already know that live streaming is a new and potentially powerful form of content. It provides an engagement and interaction that until now was limited to face to face conversations. Now, instead of having to host a live event, you can stream live online. The possibilities of how to leverage this content form are endless. 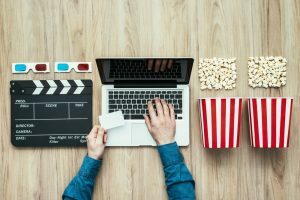 To help you get your creative wheels turning, let’s talk about five general ways to use live streaming for business regularly. Interviews are a great way to help boost your own credibility and authority while providing value to your audience. Imagine a crafting blogger being able to live stream an interview with Martha Stewart or a self-help marketer interviewing Oprah. Instant credibility and notoriety, right? You can also leverage the audience of a relevant business owner to help grow your following. For example, a personal trainer might interview a health food expert. The health food expert gets exposure to your audience and vice versa. Interviewing customers is another option. You can do a sort of live case study to show how your product or service solves problems. 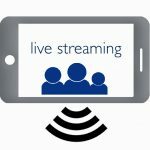 It’s entirely possible to host a live webinar via a live streaming application. 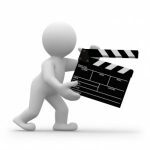 You can create a webinar format for the show and use the time to solve a problem, provide information, and drive viewers to take a specific action. This is a fun way to launch new products or services. It’s also a great way to build your email list and make sales. 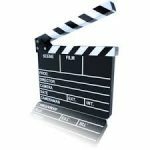 Live streaming is a prime opportunity to demonstrate how to use your products. Whether you sell one product or dozens, you can show people in real time how to use it and answer their questions as you go. Don’t forget to include a “buy” link and call to action. Consider hosting the occasional question and answer broadcast. Announce the broadcast and then start collecting questions. It’s a good idea to start the show with a few questions to get the ball rolling. You can then take questions from the audience. Keep a few additional questions aside just in case you experience a lull and want to keep providing information. Remember that Periscope allows you to host private broadcasts, right? This is a great opportunity to host trainings and use live streaming for business. You can train staff members, you can hold meetings, or you can train new customers on how to use their product. The latter is particularly helpful if you sell or market technology. These five ideas are really the beginning of what’s possible. Start brainstorming options today. Who could you interview? Who might you partner with to host a live stream together? What questions can you answer via live streaming and how can you provide entertaining and informative content with this technology? 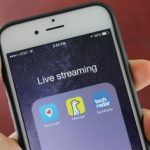 Live streaming for business just makes sense, and I hope these five ways will help you to launch this medium into your business quickly.